This ruff looking wrestler might not win any beauty pageants but inside the ring, he is often top dog. A clean fighter with a wild side, he uses his feral instincts and powerful body to wreak havoc on his opponents. 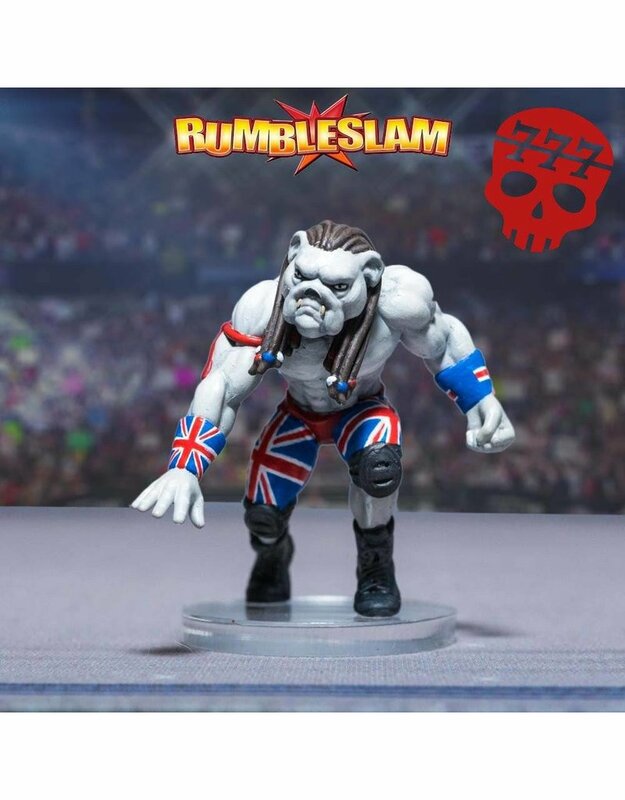 Whether it’s a high speed British Bulldog off the ropes, or a terrifying Dogfighter from the turnbuckle, this canine contender constantly brings his A-game. If playing a Feral Den team, you may not have much reliability. Baxter has that in spades. With +1 on his Attack, Grapple, and Dexterity, he's one of the most reliable wrestlers in the game. Combine that with his Dogged Determination special rule, which means if he's KO'd it doesn't take effect until the end of the round, and you've got a wrestler that just will not get taken out. Baxter pairs perfectly with the more unpredictable Raging Beasts.